The garden of this newly built French Country style home is crafted to capture the dramatic views of nearby vineyards, Valley Oaks along a winding creek, and a historic winery estate. The garden was part of the redevelopment of the house and is designed for entertaining and as a personal sanctuary. 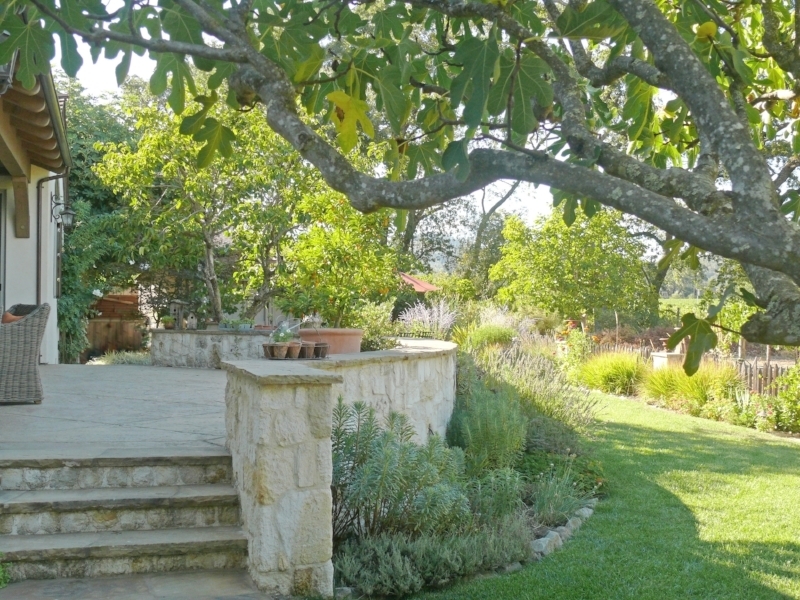 The drought tolerant plant palette, venerable fruit trees, and local vineyard stone root the garden in the contextual landscape.